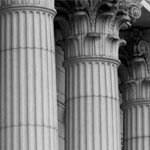 Andreas Neocleous & Co LLC has a large dispute resolution practice, covering all areas of general and commercial law. Our litigation department works with clients to resolve disputes in a timely and effective manner through prompt assistance and sound legal advice. We have the resources to handle complex and urgent issues and we have experience in a wide variety of claims and disputes. When appropriate, we will seek to avoid lengthy court actions through constructive negotiation in the first instance, or by pursuing swift and economic alternatives to full-scale litigation such as summary trials, interim remedies, mediation and other forms of dispute resolution. The firm conducts both domestic and international arbitration under internationally recognised arbitration bodies. Team One, headed by partner Antonis Glykis, deals with traffic accidents; employers’ liability, personal injury claims, insurance claims and disputes, debt collection and criminal matters. Team Two, headed by partner Anna Demetriou, deals with banking and finance disputes, hire purchase agreements bankruptcy and insolvency law. Anna Demetriou also deals with all matters relating to divorce (both civil and ecclesiastical), separation agreements, custody disputes, injunctive relief, maintenance and lump sum settlements, property provisions and all other ancillary matters. 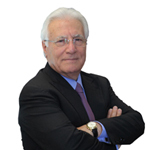 Team Three, headed by partner Panayiotis Neocleous, deals with international trade law, trusts and equity, as well as company and partnership disputes. This team also undertakes all types of admiralty claims. 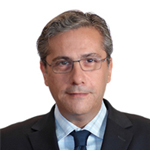 Team Four, headed by partner Christos Melides, deals with property disputes including rental control, compulsory purchase, construction disputes and all matters of administrative law. Christos Melides also deals with matrimonial law matters.